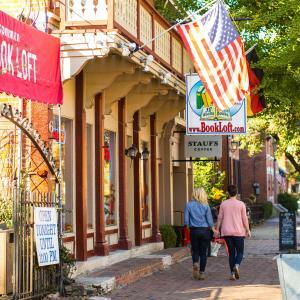 Be inspired by local and national authors and explore the cozy nooks of independent bookstores in some of Columbus’ most charming, and upcoming neighborhoods. Thurber House, the boyhood home of author, humorist and former New Yorker cartoonist James Thurber has been the center for literary life in Columbus for more than 30 years. Thurber was known for his self-deprecating humor, a tradition the center carries on with an annual humor prize. Past winners have included David Sedaris, Ian Frazier, Jon Stewart, the editors of The Onion, and this year’s winner, The Daily Show host Trevor Noah. 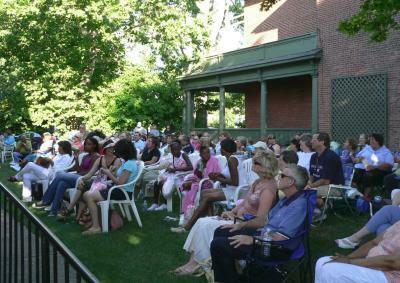 During the summer, Thurber House hosts literary picnics on their lawn (bring your own or order a picnic with your ticket). Don’t miss Columbus author Scott Woods on July 11 when he reads work from Harlem Renaissance writers as part of the city’s celebration of the 100th anniversary of the Harlem Renaissance. During the rest of the year, Thurber House’s Evenings with Authors series is held at nearby Columbus Museum of Art. Poetry lovers can check out several Open Mic nights throughout the week including the Poetry Forum at Bossy Grrls Pinup Joint in Olde North Columbus on Mondays (the longest running poetry series in Columbus); Writing Wrongs Poetry Slam (every other Tuesday) at Mikey’s Late Night Slice on 4th St downtown; and Writer’s Block Poetry Night at Kafe Kerouac in Olde North Columbus on Wednesdays (co-founded by Columbus poet and author Scott Woods - it’s a bit like a roast meets poetry). The consolidation of big chain bookstores has provided a boon to independent bookstores around the country, and that includes Columbus. 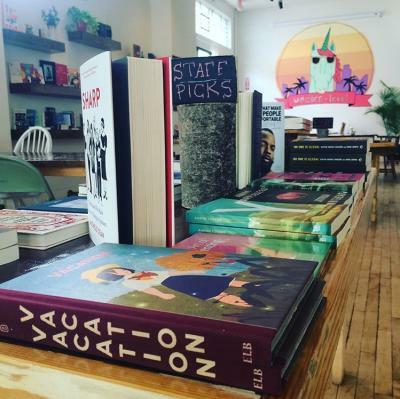 Two newcomers on the scene have quickly become destinations for book lovers. On the near east side neighborhood of Bexley, Gramercy Books is like the bookshelves of that well-read, well-informed friend: perfectly curated whether you are interested in the latest blockbuster political tell-all, a self-help book on giving a Ted talk or a collection of past Pulitzer Prize-winning books. 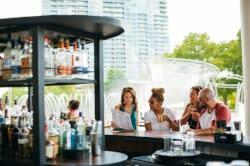 Throughout the month Gramercy also hosts a book club, book launches, and author talks. Since launching last fall on Columbus’ south side, Two Dollar Radio has become a hub for authors, activists, and artists. The independent bookstore/café/publishing house was launched by Brett Gregory, and husband and wife team Eric Obenauf and Eliza Wood-Obenauf, the duo behind the publishing arm of Two Dollar Radio. Since 2005, the publishing house has launched more than 60 books including They Can’t Kill Us Until They Kill Us by Columbus native Hanif Abdurraqib, named one of the best books of 2017 by NPR, Esquire, Paste Magazine and the Chicago Tribune. Pick up a copy of Abdurraqib’s book along with other Two Dollar Radio books, as well as, books from other indie publishers. The south side bookstore and café also hosts author talks, comedy and poetry nights, and pop-up vegan brunches on Sundays. Get lost in 32 rooms of books in the Book Loft in Columbus’ German Village neighborhood. Each room of the longstanding bookstore has its own soundtrack from Celtic music for fiction to Horst’s The Planets for SciFi/Fantasy. There’s pretty much a room for every interest including a room focused on books about Ohio or by Ohio authors.